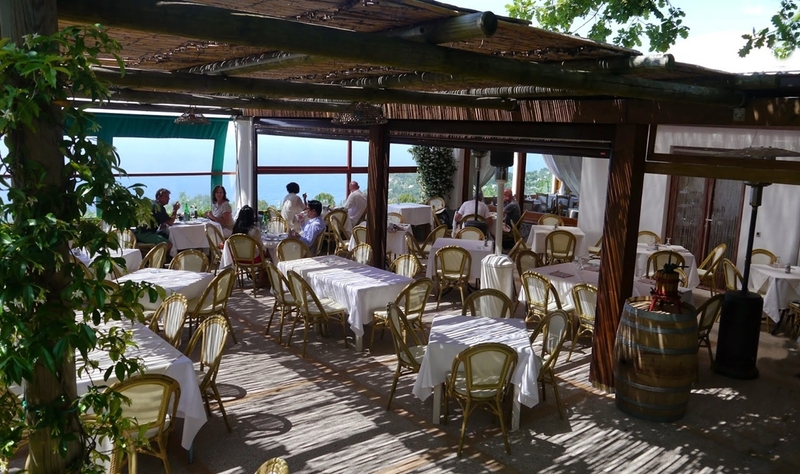 The Med-Hoc-net 2018 Sociale Dinner will take place at Da Gelsomina restaurant, a serene spot to recharge body and mind in one of the most beautiful and least travelled areas on Capri. 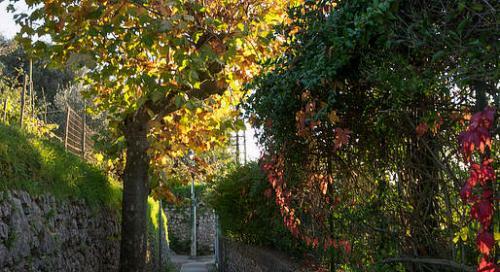 There is a pleasant and level pedestrian trail, La Migliera, that leads you from the center of Anacapri to the Da Gelsomina restaurant in about 30 minutes, winding its way past gardens and vineyards (however a shuttle service will be provided). 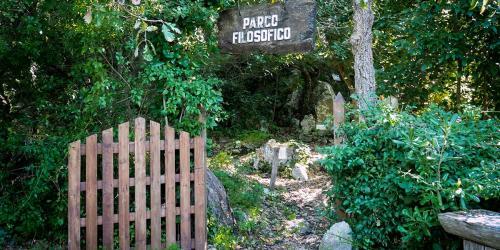 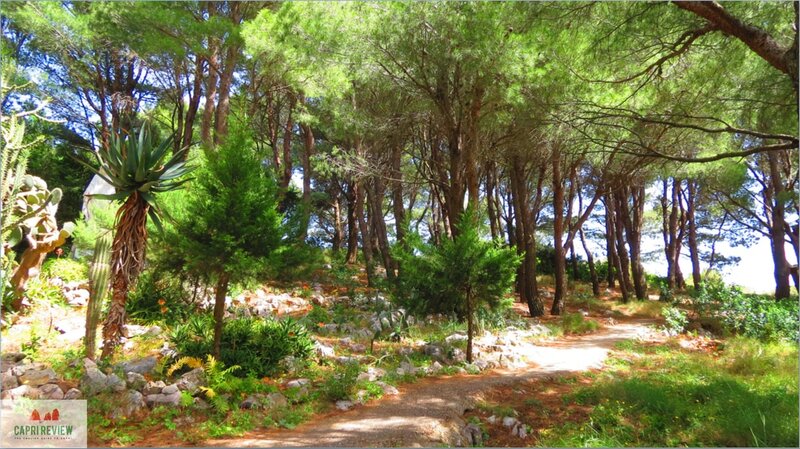 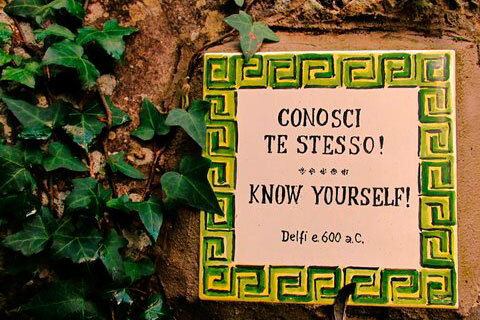 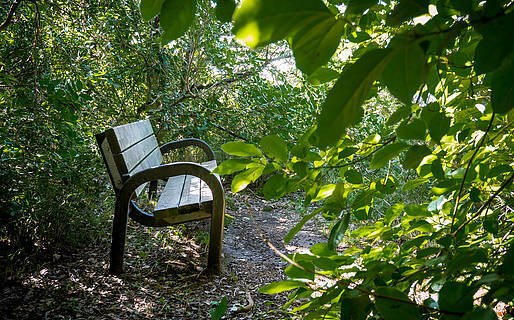 Take a few moments out during your stay on Capri for quiet contemplation…visit the Philosophical Park, a meditive path lined by quotes and aphorisms from Eastern and Western philosophy. The park is one of the most pristine and undiscovered corners of the Island of Capri. 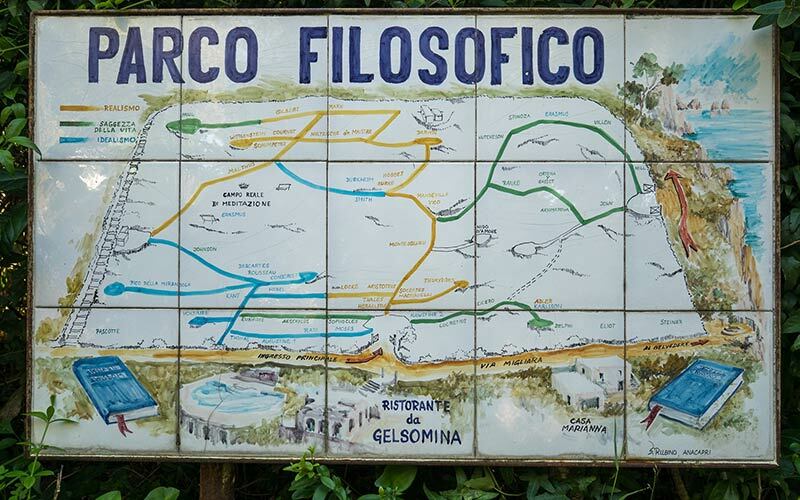 It was created by the Swedish economist Gunnar Adler Karlsson, who lives nearby, and is still run by him through a dedicated foundation. 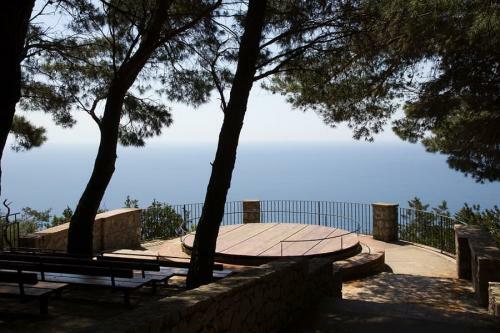 If you continue by foot past the park entrance, you will arrive at the dramatic scenic overlook facing the Punta Carena lighthouse. 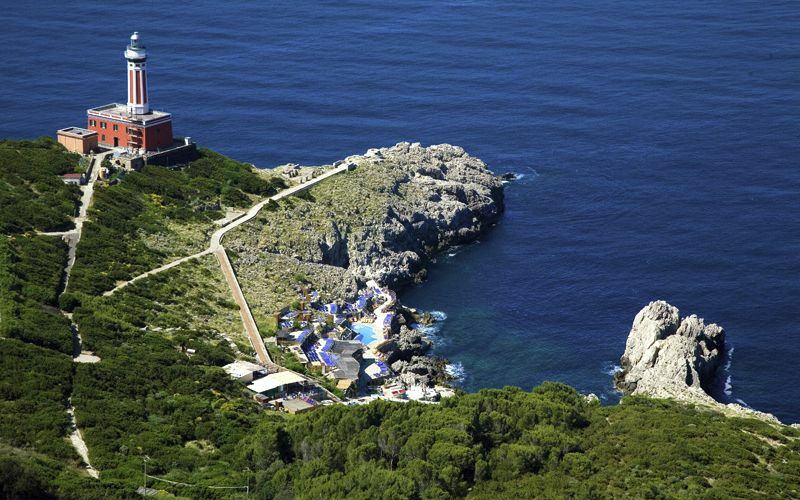 Continue climbing a few meters to the left to view Capri’s iconic Faraglioni sea stacks from a unique vantage point named Belvedere del Tuono. The following video presents La Migliera.